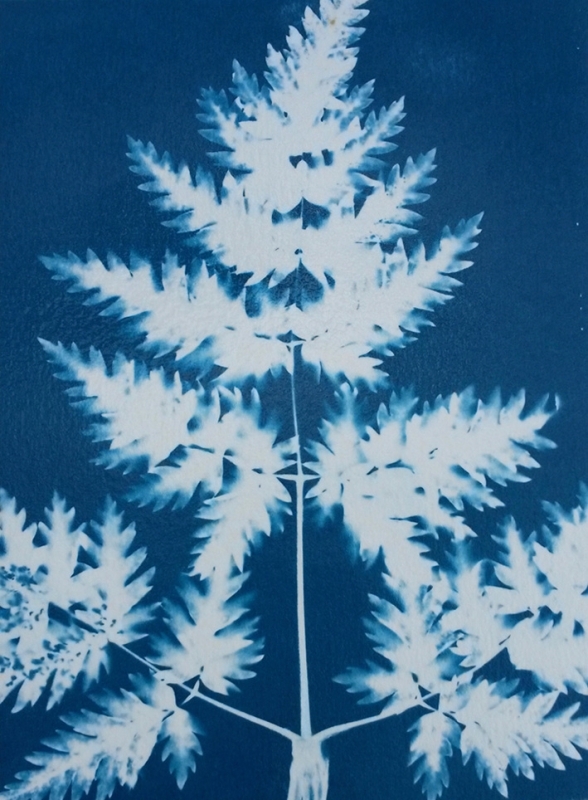 Cyanotype is a historic printing process that has regained popularity recently with artists and photographers alike. While some are dismayed at the continual decline of analogue materials by the large photographic corporations others are taking control and mixing chemistry and creating their own. 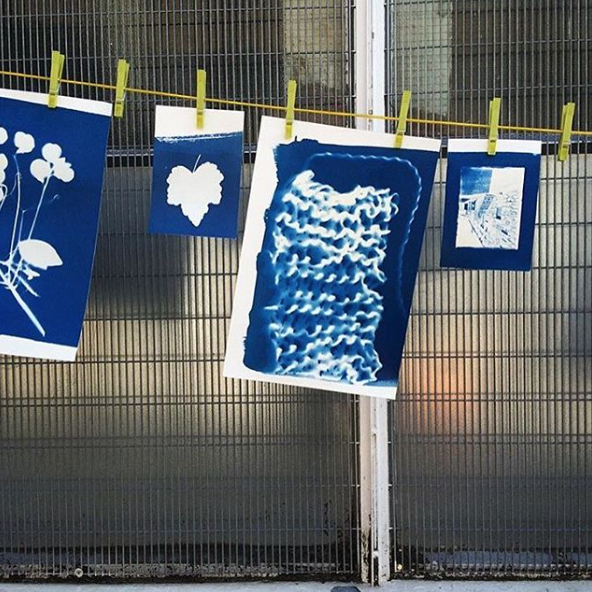 Cyanotype printing offers an affordable introduction into the world of alternative photographic processes where your photographic image is translated into a tangible piece of work. By underlining the interaction between image and base material, new processes are explored and creative departures encouraged. Both objects and negatives are used in contact with the coated substrate and exposed to Ultra Violet light. Sunlight is a simple source of light or screenprinting exposure equipment can be used. It is ideal for printing on fine art papers and fabric. The process introduced will be accompanied by a brief hand out and recipe, and you will be shown how to continue these techniques after the course with the minimum of specialist equipment. You will be shown how to use an ink jet printer to create the very best quality digital negatives for contact printing. Photoshop will be used to create a custom curve suited to your desired printing process. 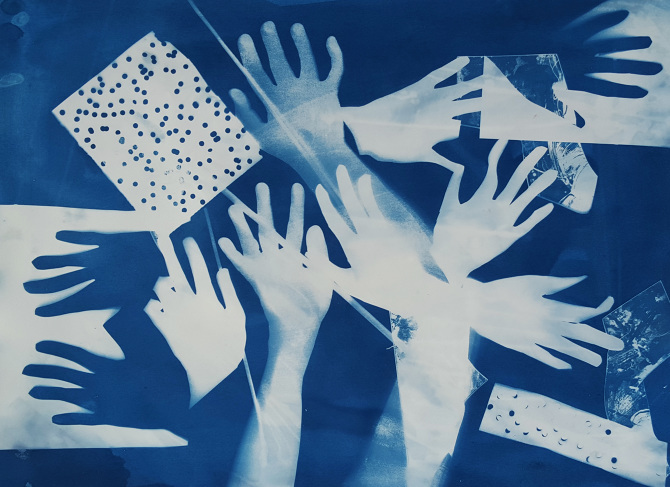 Students are encouraged to bring imagery with which to experiment.